With over 40 years of experience, Annie is one of the most adept practitioners of traditional Ashtanga Yoga. Guruji intimately taught her the first four Ashtanga sequences completely and introduced her to the fifth (Advanced C Section). In 1995, he presented her with a rare “Advanced B” certification to teach. Annie has a very clear and compassionate teaching style. 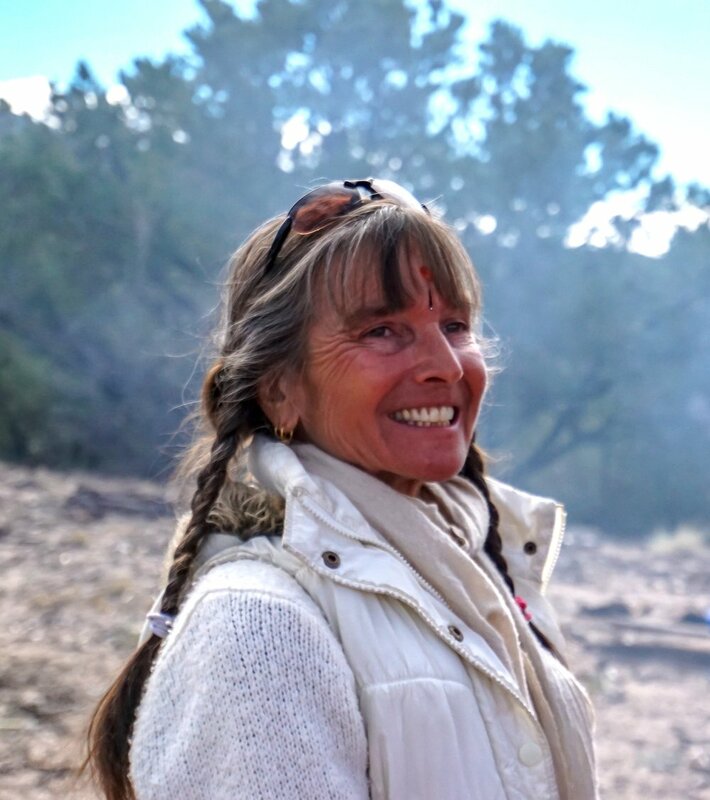 All levels of practitioners benefit from her ability to distill her decades of experience. Her skill in working therapeutically with students of compromised health, physicality or other adverse situations is one of her most profound gifts. Annie considers it a blessing and and honor to have been entrusted with carrying on this lineage. It is her primary intention to do so in authenticity. Annie expresses her heartfelt gratitude to all of her teachers, in particular Guruji (the late Sri K Pattabhi Jois), Aunti-ji (the late Smt Tapti Sinha), and Acharya (Dr KLS Jois). These human lights have exemplified unconditional love and devotion, and have generously provided clear and accessible guidance to so many. Annie's immersion in yogic sciences also expands into Ayurveda, yogic cooking, and Hindustani music. Check Annie’s offerings for details. More information on Annie’s CDs “Ekam” and “Dve” here. Read about student experiences at Shakti Sharanam.